Printing Ribbon is our Business! TRS Ribbons print ribbon to your requirements. Whether its Christmas ribbon, birthday ribbon, party ribbon or banners, Mother’s/Father’s day decorative ribbon, baby shower ribbon or any other type of celebration ribbon, we can produce printed ribbon to meet your needs. Custom printed ribbon can be used for decorative packaging and wrapping, or personalising gifts. Foil printed font produces a beautiful effect for festive or celebration ribbon. The image below shows a few samples of work we have done, but by no means portrays the limit of our printing abilities. 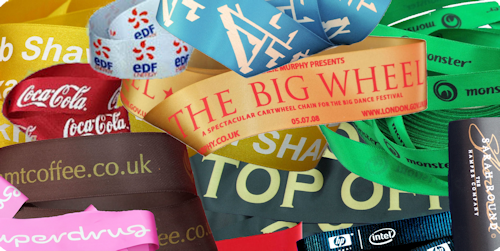 If you would like to get a quote for Printed Ribbon click here.